Founded in 1970, Children's Hunger Alliance is a nonprofit organization that conducts various education, leadership and advocacy programs to deliver financial assistance and support for children throughout the state of Ohio. It collaborates with schools, child care providers, legislators, elected officials, businesses, individuals, and youth-serving and faith-based organizations to improve growth opportunities for children. Summary Info extracted from the YellowPages. 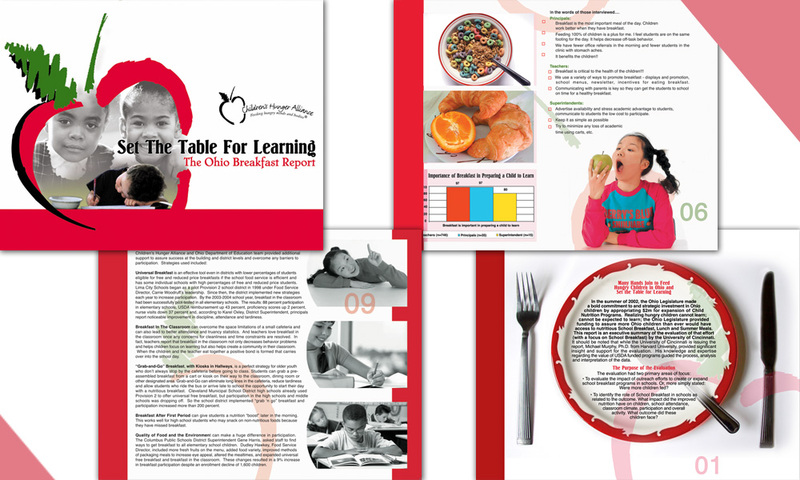 Design an illustrated multipage Report highlighting five years of statistical data of the amount of children have and/or families can afford breakfast in Ohio.